Regardless of how frequently search engine algorithms may evolve and change, you’ll be relieved to know that the goals of a copywriter remain the same: to create compelling content that people are interested in reading. But when we start talking about SEO copywriting, keywords and organic search engine rankings it can be easy to forget about the personas that are being written for and start focusing on the search engines and the algorithms that come into play. With that being said, let us remind you that search engines aren’t going to make a purchase from your business. They aren’t going to share your content on social media networks or tell their friends about your amazing products or services. So stop thinking about them! Stop publishing content for them! Instead, think of SEO copywriting as a way to beef up your compelling, dynamic content so that people who are interested in what you have to offer have a better chance of finding you. 1. Write a captivating headline that will get your content read and set the tone for the topic. In other words, if your title is “5 Ways to Increase Lead Quality” your article should jump right into the list, be direct and stay on topic. Don’t forget to include your keyword in the title. Not only is it important for search engine rankings, but it’s what your readers were looking for and will encourage them to click through. Studies show that using numbers in titles, particularly odd numbers, appeal to readers. Scientifically, peoples’ brains love lists. Additionally, it promises something specific and insinuates that the content will be easily scannable. 2. Increase readability with subheadlines, bullets and short paragraphs. Subheadlines not only guide readers through the content, but they also describe the content to the search engine. Bullets, numbered lists and short paragraphs (2-3 sentences long) increase digestibility of the content. And what happens when your content is digestible and easy to read? People read the entire thing! And if it’s great, thought-provoking content, they share it or reference it within their content, meaning their readers also read it, share it and reference it and next thing you know your SEO ranking goes up because you have increased your trust and authority levels. 3. Use power words and an active voice. You should be excited about what your business has to offer, and power words are a great way to get others excited too! They influence the reader and create an active voice that is direct, energetic and persuasive. 4. Don’t focus on keyword density! Remember you aren’t a robot and you’re not publishing content for robots. You are appealing to people and you have something important to tell them with the content you are publishing. That’s not even possible with content that is so stuffed with keywords you can hardly express your ideas clearly. If your content is sticking to the topic you are probably putting out copy that has keywords in it. Using related keywords, synonyms and grammatical variations are great ways to limit redundancy and increase your search engine rankings. So if your keyword is ‘inbound marketing’, a phrase like ‘inbound techniques’ breaks it up and sounds natural to readers. 5. Meta descriptions are important. Maybe the search engine isn’t looking at them directly, but they are the first thing that a reader sees, showing up underneath your title, when your page pops up in search engine results. If you don’t include a meta description of your own the search engine will generate one for you, which may or may not be a good thing. It’s only 160 characters, so why take any chances by not including one!? Make sure it markets the content you are publishing and contains some keywords because those will be bolded and can draw a reader’s attention to your content. It’s not all about keywords these days. Your content will appear more valuable in the “eyes” of the search engine if you link to external trusted blogs and websites. And from a reader’s point-of-view, it’s a great way to support key points, add information and cite external sources while keeping your copywriting concise and to the point. Just like external links, internal links add value and improve the reading experience, but they also provide an internal link structure that affects the crawlability of your site, which is what search engines like to see. When we talk about copywriting we are talking about giving people a reason to visit your website or blog, giving them something to talk about on social networks, and creating a relationship with readers that turn them into customers and promoters of your brand. 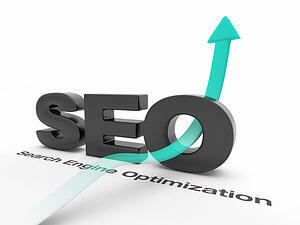 SEO copywriting is the same thing, just formatted specifically to make it easier for these readers to find you. These tips will help you improve your search engine ranking, while keeping your content persona driven, natural and remarkable!